There are few sights more welcoming than a plate of fish with gleaming, golden skin, making this stunning seafood recipe the perfect dish to delight your guests. 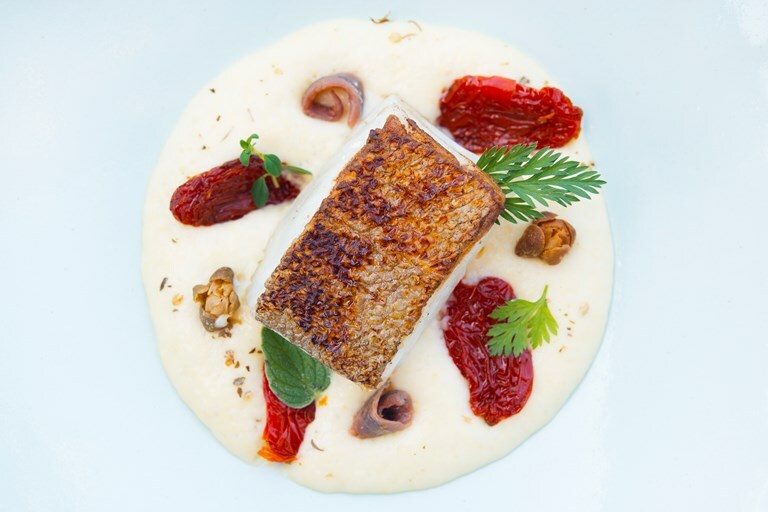 Matteo Metullio's pan-fried cod fillet recipe is served atop a mound of creamy polenta mousse, which in turn is studded with crisp fried capers, candied tomatoes and succulent slices of anchovy. The chef recommends Cantabrian anchovies above all others, an area known in particular for the size and quality of its fish. 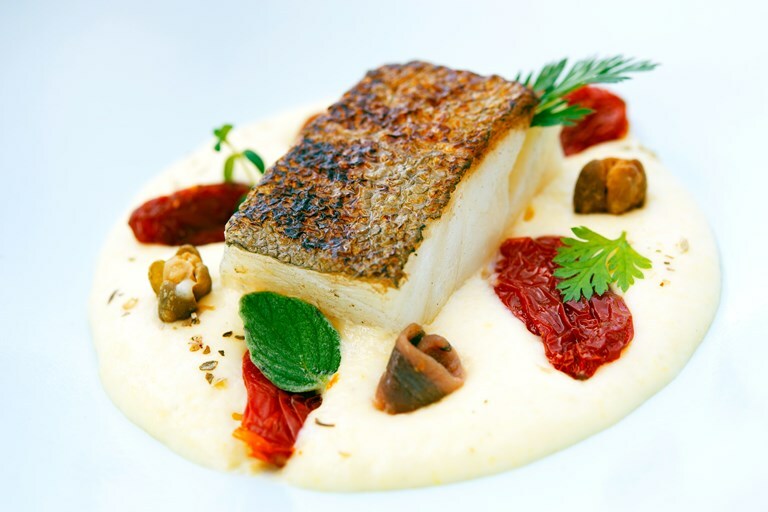 From his hometown of Trieste to the rugged mountains of South Tyrol, Matteo Metullio uses the best produce Italy has to offer and draws on international influences to create truly special cuisine.